At BMC, we believe that unified workload automation is the future of job scheduling. So we decided to prove it. 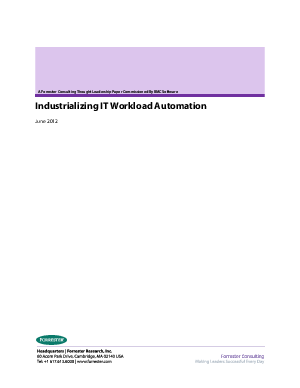 We commissioned Forrester Consulting to evaluate the benefits of work loadautomation. Who needs it? Why? Is there a more strategic way to schedule jobs across the enterprise? How can workload automation help IT better serve the business?